Interested in learning more about a career in the culinary arts? 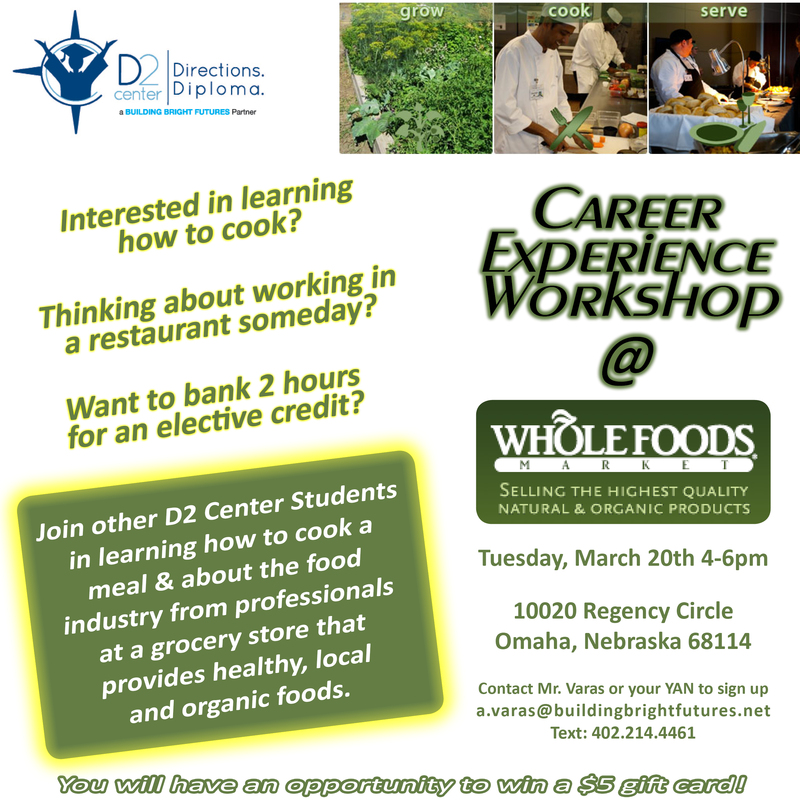 The D2 Center is offering another Career Experience Workshop, this time at Whole Foods, where you can learn about food, cooking, and culinary career possibilities. 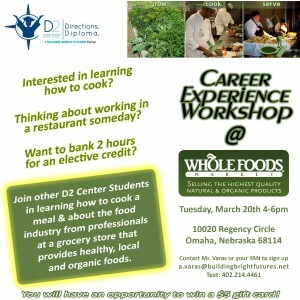 Not only that, but by attending this D2 Center activity, you can bank two hours towards a D2 Center elective credit. Contact Mr. Varas or your YAN to sign up (email a.varas @ d2center.org or text: 402-214-4461).